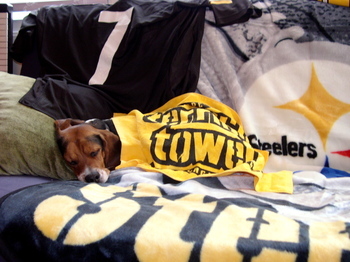 As his namesake, Ben Roethlisberger, is preparing for tomorrow's win-and-you're-in game against the Detroit Lions, LENNDEVOURS' own Ben, Ben Roethlistbeagle is resting up too. As he sleeps, Nena and I prepare for our first mini-dinner party in our new casa. A simple, but classic menu of grilled strip steaks, homemade twice-baked potatoes and green beens wrapped in bacon await our friends Liz and John. To drink? More on that tomorrow...when the Steelers dominate the Lions as the blaze their way into the playoffs. Checking in on the 2005 "Winery of the Year"
Last summer, Osprey’s Dominion Vineyards was named New York’s “Winery of the Year” at the 2005 New York Food and Wine Classic by winning seven medals, including two double golds, one gold, two silvers and two bronzes. Winemaker Adam Suprenant, a graduate of the much ballyhooed U.C. Davis enology program, was and is proud of the accomplishment, but he’s certainly not resting on his laurels. Wines from the 2001 vintage (and a 2004 rosé) earned the winery all those medals, but the winery’s first three 2002 releases, a cabernet franc, a reserve merlot and a 2002 edition of the “Flight” Meritage blend show great promise and are sure to do well in competitions in 2006. The cab franc and Flight build upon the previous vintage and the reserve merlot represents a new beginning -- a merlot Suprenant will only make when he and fellow-U.C. Davis graduate and Osprey’s Dominion vineyard manager Tom Stevenson think the fruit is good enough. 2002 was such a year for the vineyard. Can a computer tell if a wine is good or bad? A professor from Carnegie Mellon University (where I went to graduate school) seems to think it's possible. He's focusing on yeast and its behavior and hopes to"
"...help vintners avoid "stuck batches" - batches that spoil and are thrown away when fermentation stalls, leaving too much sugar. Biegler hopes to make winemaking more efficient, consistent and, ultimately, profitable. Similar computerized systems are routinely used at chemical plants, oil refineries and pharmaceutical manufacturing facilities, he said." Obviously, one can debate the merits of "consistent" wine...but this kind of scientific investigation is worth keeping an eye on. A tip of the cap to LENNDEVOURS Sr. for passing along the link. If you do, head over to Dr. Vino's blog, named one of the seven best by Food & Wine Magazine, and take his 2005 Year End Wine Quiz. If you win, you could one of a handful of great prizes, including a case of wine. So, if you like wine (and I know you do) take the quiz and show off your knowledge...you just might wine some vino from Dr. Vino. Okay, so I'm a couple days late for Christmas, but we're still smack dab in the middle of the holiday season...so Happy Holidays from all of us at LENNDEVOURS (Nena, Ben and myself). We're in upstate New York visiting Nena's family until Thursday, partially just to relax and get away from the hustle and bustle of Long Island, but also to help my mother in-law prep for her annual holiday open house. It's an open house in name only...people come when it begins and stay until it's over. This year she's expecting 130 people or so...and she's happy to have her sous chefs here to help. It's one of the few times I'm willing to give up control and just do the grunt work in the kitchen. As preparations continue and we get closer, pictures will be taken and eventually posted. Nena and I are also cooking dinner for the family tonight...so I'll get to break in one of my favorite Christmas gifts -- a black chef's coat with my initials embroidered on it in gold (Steelers colors after all). Until later, cheers and have a fun and safe week and weekend...and one filled with great food and drink. Tom of FERMENTATION recently made a call for Top 10 Lists and I knew I had at least one in me as I look back on 2005. In fact, I'm sure I have more than one...but for now I present my Top 10 Must-Try Long Island Wines of 2005. While some of these certainly would qualify for a "best" list as well, this list is more accurately defined as the wines I'd insist any wine lover taste (if possible) when they come to Long Island for the first time. 10. Bedell Cellars 2001 Reserve Merlot. One of our region's top merlot makers, this is a wine of superior complexity and elegance -- from a tremendous vintage. 9. The Lenz Winery 2003 Gewurtztramier. For my money and palate, there's no better local example of this love-it-or-leave-it varietal. 8. Channing Daughters Winery 2003 Blaufrankisch. The only Long Island Blaufrankisch makes me wonder why more people aren't growing it every single time I taste it. 7. Macari Vineyards 2005 Early Wine. Goes from field to glass in weeks rather than years and is one of the Island's most unique wines. 6. Osprey's Dominion 2001 Cabernet Franc. Probably my favorite rendition of this under-appreciated grape. 5. Shinn Estate Vineyards 2002 “Six Barrel” Merlot. Truly a wine that exemplifies Long Island terroir. 4. Lieb Family Cellars 2001 Blanc de Blanc. The only sparkling pinot blanc that I've tasted, it's unique and yet classic at the same time. It's also what Nena and I toasted with at our wedding. 3. Roanoke Vineyards 2000 Merlot. Sold out, but it was my favorite merlot of the year, so it has to be on this list. 2. Diliberto Winery 2003 Chardonnay. Shows the type of balance and refinement that I love in this over-manipulated grape. Worth seeking out (Sal doesn't have a tasting room yet). 1. Wolffer Estate 2002 Premier Cru Merlot. Long Island's most expensive wine ($125/750ml) I think everyone should try it at least once. Tom over at FERMENTATION had written an interesting, observant post on the state of the wine industry in terms of innovation's progress...and those things that hold it back. Definitely worth a perusal as we head into the new year. New York winemakers, in general, and Long Island winemakers more specifically are definitely not on the leading edge of innovation -- particularly in packaging. To my knowledge, no one locally is using screwcaps yet (too expensive up front) and. I doubt you'll see boxes or bags of wine anytime soon either, though I can think of a couple producers who would probably do well putting their sweetish blends in them. Sometimes I have to remind myself of the relative youth of the Long Island wine region. It's just a couple years older than I am, so I have to be patient. I think, in time, there will be some innovative stuff happening. For now, much of the interesting innovation is happening in the fields, where people are constantly learning and experimenting with different clones, varietals, organic/biodynamic processes and the like. 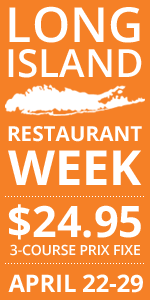 It's a fun time to be "in" the Long Island wine industry...and it's something I'm thankful for. In early October, an earthquake devastated Northern Pakistan. More than 70,000 people died in the tragedy and another 100,000 were injured. You might remember the efforts of the Food (and wine) Blogging Community last February to help those affected by the tsunami in Sout East Asia and East Africa. This year, the blogging community, led by Chez Pim, presents the second Menu For Hope II. Pm has organized this quite differently this year. It's an raffle of course and all the money raised will go to Unicef, specifically for the earthquake region. Between changing email addresses since the last Menu (I didn't get the "call for items" email) and moving (being without internet access for a few days) I'm late to the party, but I couldn't let this event go by without giving a little something. Borrowing an idea from the king of wine bloggers, Alder of Vinography, I'm offering a tour of Long Island Wine Country for two, with Mr. and Mrs. LENNDEVOURS as your tour guides. We'll take you to all of our favorite spots, to meet our favorite characters and drink our favorite wines. I'm thinking next fall, pre-harvest would be ideal...with the grapes almost ready for picking, but the winner and I will work out the details later. 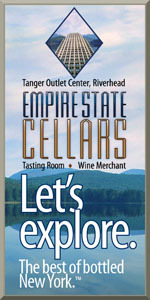 What wine lover wouldn't want the opportunity to explore one of America's hidden wine country gems? Even if you don't want it for yourself, it makes a GREAT HOLIDAY GIFT. Buy a few raffle "tickets" for your friends and family. List in comment section of your donation form which gift(s) you would like to win. Each $5 donation will give you one chance at winning the prize of your choice, and of course, if you donate more than $5, you are allowed to specify more than one prize. Obviously that only gives you all four days to enter to win my lil ole prize. But every little bit counts. Last I heard, the project had raised more than $8,000. The first Wine Blogging Wednesday of 2006 has been announced. John, known to those of us in the blogosphere as The Corkdork, is the host of WBW 17: Red Kiwis, so go out and buy a New Zealand red, tasted it, and write about it on January 4. Once again, I'll be forced to leave my local wine region...but that's part of the fun of WBW. Thanks to Ray, a devout LENNDEVOURS reader for this link to a round up of a tasting that pitted New York wines against those from Virginia (where Ray lives now). Some interesting results...and ones that make me want to explore VA wines a bit more. I'm going to try to track down a comprehensive wine list...as I've had some of the NY wines mentioned and there are betters available. If the panel liked the Wolffer 2004 Late Harvest Chardonnay, they should try the 2003! Interesting that there weren't any Long Island merlots mentioned...given that some are really pushing it as "the" varietal of the region. The results for Wine Blogging Wednesday #16 -- Judge a Wine By its Label have been posted over at An Obsession With Food (And Wine). Check them out. Our host, Derrick, did something quite interesting with the round up...broke them down by previous participation (or lack there of in the case of the "Fresh Faces"). Great idea and great job pulling together the ever-growing number of participants. Keep an eye out for the announcement of Wine Blogging Wednesday #17. I won't spoil the surprise...but once again I won't be drinking Long Island wine...because it won't fit the theme. Monday afternoon, we finalized the purchase of our very first chunk of Long Island -- a house and a quarter-or-so acre of land about two miles from Long Island Sound. I just wanted to thank everyone for your emails and blog comments of congratulations and encouragement. We're excited, anxious, happy, scared and MOVING. 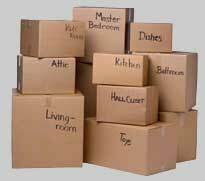 We've started by moving a few car loads (mostly kitchen stuff of course) and then this Saturday is the official moving day. We have great friends and a half dozen or so of them are coming to help. It's a crazy time leading up to the holidays, but I'll try to post as much as I can. Last night, Nena and I toasted our new house with a bottle of Wolffer Estate 2002 Pinot Noir ($50). (Read my previous review) It's one of our favorite local pinots...if only we could afford to drink it more often. Blended red wines – they are the best of wines, they are the worst of wines. Have you ever been in a wine shop and seen gallon jugs of “Burgundy” for less than ten dollars? Those wines bear little (okay, no) resemblance to the fine wines of the French region with the same name. Jug “Burgundy” often comes from California’s Central Valley and is a blend of high yield Barbera, Petite Sirah and other red varietals. Wine snobbery is never a good thing, but these wines are just awful. But blended reds are not created equal. Some of the world’s greatest wines are blends. The great reds of Bordeaux are blends of Cabernet Sauvignon, Merlot and Cabernet Franc (sometimes with Malbec and Petit Verdot as well). Joseph Phelps 2002 Insignia, recently named the wine of the year by Wine Spectator, is 78-percent Cabernet Sauvignon, 14 percent Merlot, 7 percent Petite Verdot and 1percent Malbec. Some of Long Island’s best wines are also blends – even the top Merlots, which only have to be 75 percent Merlot to be labeled as such. You’ll often find blends labeled “Meritage” (rhymes with heritage), a term coined in 1988 for the purpose of identifying American wines produced with traditional Bordeaux grapes but with less than 75 percent of a given varietal. Two local producers have recently released new blends, and while they are both made with traditional Bordeaux varietals, they are quite different. Castello di Borghese’s first entry in the Meritage game (65 percent Cabernet Sauvignon, 21 percent Merlot, 14 percent Cabernet Franc), the Borghese 2000 Meritage Red ($48) is an elegant, refined bottling that offers a soft nose of smoky sweet oak, sugar plums, blackberry and pencil shavings. With well-balanced cedar and fruit flavors, and light, dusty tannins on the finish, this is a sultry, inviting wine that seems best suited for roasted fowl or pork. 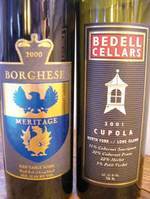 Bedell Cellars Cupola blend has long been a favorite, and the 2001 Cupola ($30) continues that trend. Made with 51 percent Cabernet Sauvignon, 22 percent Cabernet Franc, 22 percent Merlot and 5 percent Petit Verdot from the lauded 2001 vintage, this wine is significantly darker in the glass and nearly opaque. The supremely aromatic nose is redolent of blackberries and bittersweet chocolate with faint hints of leather. The inclusion of Petit Verdot not only gives this wine a deeper, richer color, but it also gives it a bit more structure and body in the mouth. The tannins are apparent, but incorporated well and the flavors complex and mouth-filling. When tasted again a day after being opened, this wine still showed well with less fruit flavor and more leather and cigar box character. Serve with “bigger” meats like lamb, beef or even venison. These are just two of the diverse and delicious high-end blends made locally. Other ones of note include Martha Clara Vineyards 6025, Lieb Cellars Meritage, Paumanok Vineyards Assemblage and Osprey’s Dominion Flight. You’ll probably have to pay a little extra to taste these wines at the respective tasting rooms, but it’s worth it. These blends really show off the best of what Long Island, and Long Island winemakers, can do. Check them out. SBU Camerata Singers Holiday Concert -- Friday, December 9 at 8 p.m. Tomorrow night in the Staller Center Recital Hall at 8 p.m., the Stony Brook University Camerata Singers and the Stony Brook Chorale will present their Holiday 2005 performance. The Camerata Singers will be performing motets and folk songs by America's greatest composer, Aaron Copland, while the Chorale peforms carols and lullabies. Both groups are conducted by Timothy Mount. You may have noticed that there's no mention of food or wine...so why am I telling you about it? It's quite simple...my supremely talented wife is a member of the Camerata and they are a great group worth hearing if you are a fan of top-flight vocals. This also promises to be one of their most recognizable performances (the Camerata tends to sing some pretty esoteric stuff) so I'm really looking forward to it (as always). Tickets are usually around $8 and I believe that can be purchased upon arrival. For more information, call 631-632-ARTS. Did you remember to go out and get your "pretty label" wine? If not, shame on you for missing out on this month's edition of Wine Blogging Wednesday, the globe's premier wine blogging happening. This vintage of WBW, brought to us by Derrick of An Obsession With Food, challenged us to judge a book by it's cover...or more accurately, buy a wine based soley on its label. We all know that a wine's label tells us absolutely nothing about the quality of the wine on the inside, but this is a great theme nonetheless. You'll be shocked to learn that the LENNDEVOURS tasting team (that being Nena and yours truly) did things a little differently this month. For one, the lovely Nena was tasked with wine selection. Why? First, I think it only fair...I pick out much of the wine we drink and it's fun to give up that job occasionally. And secondly, I thought it possible that I'd not be able to put all other characteristics aside and focus soley on labels. The other thing that was a little different about WBW this month...we did not drink a Long Island, or even New York State wine. Nope, this month Nena picked out a raspberry-dominated shiraz blend from the Barossa Valley in Australia: The Lucky Country 2003 Barossa Valley ($18). I always love when I Google a wine to get more information on it and one of the first results is a fellow wine blogger, in this case Jens of the newly named Cincinnati Wine Warehouse. Jens tells us that this is a second-label bottling from Two Hands Wines and the bottles tells us that it's 55% shiraz and 45% cabernet sauvignon. It's not very often that I get mentioned in the "real" media, but in checking my visitor logs this afternoon, I realized that I was mentioned on Budget Living in their "Where We're Clicking" feature. Unfortunately, the link just says "Wine" but it does come to LENNDEVOURS. I doubt this is in the printed magazine, but if anyone sees it, let me know. I think it's appropriate...I'm definitely living on a budget. Aren't we all? There are new wine blogs popping up all over the place, but occasionally one catches my eye and warrants special mention here on LENNDEVOURS. Water into Wino is one such blog. It's author is a mystery...but he/she has commented here a couple times and looking at the blog quickly (it just launched over the weekend) they've already reviewed a Long Island wine. Looks like he/she is a New Yorker of some sort...and he/she has friends who work in a tasting room on Long Island. Anyway, welcome him/her to the wine blogging world and check out the site. Kate of Accidental Hedonist is calling for nominations for the Second Annual Food Blog Awards. This year, the nominations will be reviewed by a group of judges, who will narrow each category to five blogs before readers can cast their votes. So head on over and nominate your favorite food (and wine) blogs. As some of you already know, Nena and I are buying a house -- our first house. After weeks of waiting around for lawyers and banks to get everything together, we finally know when we're closing: December 12th. We're very excited (and freaked out) but one of our big projects will be to rennovate the kitchen (no surprise there I'm sure). I have a feeling that the on-going project will be chronicled here on LENNDEVOURS, so stay tuned. The kitchen, and the rest of the house, is realy a blank slate. We're looking forward to making it ours. If I don't blog a ton over the next couple of weeks, I do hope that you'll forgive me. Packing, moving and unpacking will consume us until the end of the month (and be fun with my sliced thumb). I promise to make up for it in 2006! 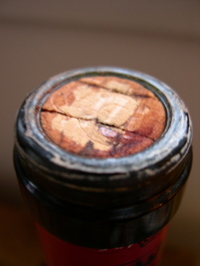 When you cut the foil capsule on a bottle of wine...this is not what you want to see -- significant wine leakage. If wine is getting out, more air than you want is getting in. I have no way of knowing if poor quality cork, improper bottle corking or improper storage before it got to me is to blame, but it sure is disappointing. What I do sometimes, to help avoid ruined bottles like this is slip the capsule off (it's just for looks, it doesn't protect the wine in any way) and check the bottles in my rack regularly. If I see even a little leakage...the wine gets opened, and consumed, that day. Sometimes it's still too late, but it is better than what you see above. Just this sort of leak is the reason I request two bottles per sample when a winery submits wine for review. Because I had the second bottle, I was still able to taste and write about this wine. It's been over a year since the last time I cut my thumb with a chef's knife, but it happened again this morning as I diced a little filling for my omelette. This one was a bit more serious a gash...so reluctantly I went to the ER to have it checked out. No stitches required, but they glued it closed and wrapped it up...as you can see at right. So, I get to wear this bad boy for two days and then turn to regular bandaids (I hope). One good thing about having extremely sharp knives -- it didn't hurt when it happened. It does now though...but it's nothing a couple bottles of local wine can't cure. An Introduction to Long Island "House Wines"
Every wine-loving household should have three wines — one pink, one white and one red — that are always on hand for casual, everyday drinking or bought by the case for entertaining. Often called "house wines" these are inexpensive wines that you enjoy drinking on their own that are also versatile enough to pair with the foods you eat most often. Long Island wines have a reputation of being over-priced for the quality (a definite falsehood), but there are several locally made wines that are great choices for house wines. The following are available for less than $13 per bottle when bought by the case (which typically means at least a 10% discount). Each is perfect for everyday consumption but it's also great to stock up on for your holiday party. Thanksgiving has come and gone. Our sights are now set on Hanukkah and Christmas, with New Year’s lurking in the background. It’s holiday season boys and girls...one of the busiest, most enjoyable and sometimes stressful times of the year. We all have a lot on our minds and your favorite wine columnist is no different. So, with that in mind, here are some miscellaneous sips (and thoughts) for the season. Drink sparkling wine for Christmas and/or Hanukkah. Everyone drinks bubbly for New Year’s, but the fizzy stuff is a great way to celebrate any occasion. Plus, with racy acidity and freshness, it’s great with a wide range of foods. Drink Lieb Family Cellars’ Blanc de Blanc with appetizers and then move on to bottles of Wolffer Estate or The Old Field bubbly with dinner. Drink it again on New Year’s Eve. Drink it just because there’s no better way to ring in the New Year. My choice: Lenz Winery 1991 Cuvee RD, the boldest and most interesting local sparkler. Don’t depend on “expert” lists for wine pairing. Every year wine and food magazines bombard us with lists of “perfect” matches for Thanksgiving and Christmas dinner – both of which usually involve a vast array of menu items. Use these lists only as a guide. It’s nearly impossible to find a wine that goes with everything on your holiday table. Try a variety of wines with your celebratory meals and see what you like best. That’s the best way to go. Take wine every where you go. No matter what holiday party you’re attending, wine is always a welcome gift, especially a local wine. Sadly, most people have little experience with Long Island wine, so take the opportunity to introduce them. Plus, if you take a bottle you know you like (always a good idea) you can tell your host, “Hey, let’s open this bottle and see if you like it.” This will also rescue you from drinking the plonk served at many parties. Let’s welcome Leucadia National Corporation to our backyard. You probably heard that Napa’s Pine Ridge Winery bought Broadfields Cellars and Charles John Vineyard, but Pine Ridge is just another of Leucadia’s holdings. Regardless, their presence here just proves the promise our region holds. They could have bought a vineyard anywhere in the world, but chose the North Fork. Diliberto Winery 2003 Chardonnay is worth seeking out. You probably won’t find it in your local wine shop, but Sal Diliberto’s elegant, Burgundian-style Chardonnay offers deliciously balanced acidity layered with citrus, butterscotch and toasted almond flavors. It is a real charmer. Call 722-3416 or email Sal directly to order.